The Steelers showed resilience on offense in their win last Thursday, overcoming mistakes and the complete lack of a running game, taking victory from the jaws of defeat. That’s the kind of win that can do wonders for tiebreakers in the playoff picture, especially with a team such as Tennessee, which looks to compete well into January. The Steelers stuck to their best guns, namely Ben Roethlisberger and his suddenly prolific core of receivers. 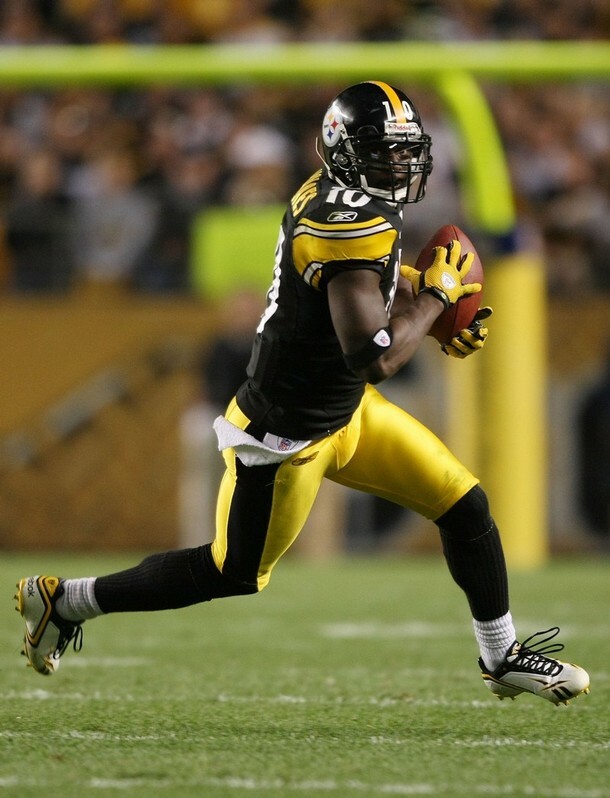 Both Santonio Holmes and Hines Ward racked up over 100 yards receiving, with Holmes catching 9 balls and Ward catching 8 (we’ll forget the fumble for now, Hines). Heath Miller also had 8, and Mike Wallace, competing for the third receiver spot with Limas Sweed, had 3, one of them being a key reception in overtime to set up Jeff Reed’s game-winning field goal. Although the offensive line wasn’t as supportive as they could have been (Willie Parker, Rashard Mendenhall, and Mewelde Moore COMBINED for 33 yards on 22 carries!) when they gave Roethlisberger enough time, he was deadly, throwing for 363 yards on 43 attempts, with one touchdown. Even with a pretty sound pass rush from the Titans (4 sacks), Roethlisberger found a way, using his increasingy-trademark pump fake and big body to get around defenders, buying time when he needed. Vintage Big Ben. So the Bears will look to do the same thing, force the Steelers to win with Roethlisberger, stuff the running game, and play solid special teams. Last week against Green Bay the Bears defense did a decent job keeping Ryan Grant in check with a modest 61 yards, although he did bust a big 17-yard gain and Green Bay got close enough to the goal line to punch it in. The Bears forced a safety in the 2nd quarter and were effective gettting in Rodgers face but the young quarterback capitalized on their mistakes. Greg Jennings had a nice game, catching 6 for 106 yards, including a huge touchdown on a nice throw by Aaron Rodgers late in the game and a successful two-point conversion. The Bears also will be missing Brian Urlacher with a season-ending wrist injury, and that means a severe loss of leadership. The Steelers could do well down the middle of the field, maybe in short yardage, utilizing Heath Miller. The Steelers defense was pretty successful against a pretty strong Tennessee offense, who have big receivers, a fast, tough running game, a superior offensive line, and a smart, veteran quarterback. They had trouble getting a decent pass rush all game, but Steeler fans (including me) will tell you James Harrison was held on every play… Kerry Collins connected with 8 different receivers and in the no-huddle late in the first half, drove the field, setting up the touchdown to Justin Gage. If the Bears suffer losing Urlacher, the Steelers lose their best defensive player (arguably!) with Troy Polamalu bruising his knee. He was without a doubt ridiculously dominate, making athletic play after play. He will be missed. The Steelers do have an informed and reliable replacement with Tyrone Carter. No worries. The story of the Bears-Packers game was Cutler’s debut and throwing 4 interceptions. The Packers had a quick and highly successful pass rush, forcing Culter to make bad decisions, throwing bad passes across his body and into the hands of Green Bay defensive backs or in one case, the more flabby ones of Green Bay defensive linemen. If the Steelers have trouble on offense with what really still is a quick Bears D, the Steelers’ defenes (also a 3-4) should really give Cutler trouble and dominate play. The only portion of the Bears offense that could give the Steelers trouble (and it happened with Tennesse with Collins a bit) is Culter’s skill in throwing downfield. He connected on two sick plays to Devin Hester and Johnny Knox. With Polamalu gone, Cutler might think he can take more chances downfield. The Steelers need to get a pass rush similar to what Green Bay did to fluster the passionate Cutler and get him to throw some bad balls. As far as history goes, the Steelers have a much easier time in recent memory playing Chicago than Tennessee. Certainly, Steeler victories against Chicago have come with a methodic running game and the stifling, athletic defense. In 2005, that was the case, en route to the 5th championship, Jerome Bettis dominated play (and introduced Urlacher to his big gold knee). This time there’s no Bettis (heck, no running game), and no Urlacher so it should be an interesting game. One game at a time, one win at a time. hey, that wasn’t a bad article and certainly not big on hyperbole. good job on your writeup.